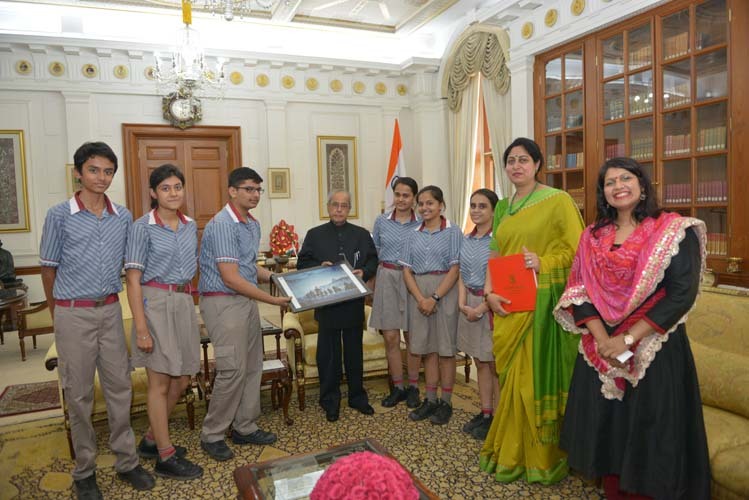 A group of six students and two faculty members, the Principal Ms Alka Awasthi and the Senior School Coordinator Ms Ritu Sachdeva from K.R. 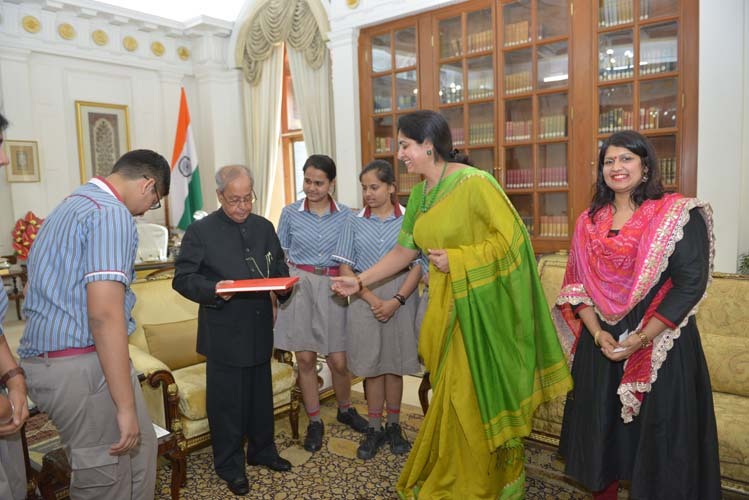 Mangalam World School, GK – II received the honour of having a face-to-face interaction with the honourable President of India, Shri Pranab Mukherjee on 20 April, 2017 at his residence, the Rashtrapati Bhavan. The meet was organized as part of the ongoing ‘Earth Week’, a collaborative of the Social Science Department of the school, which is aimed at creating a sense of sensitivity and awareness regarding the current challenges faced by planet Earth among the students. 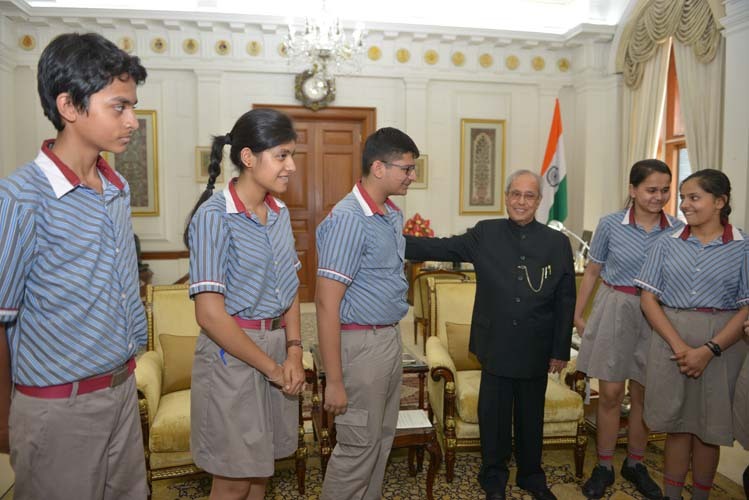 Calling for the need to put emphasis on duty among the youth, President Pranab Mukherjee appreciated the students for being pro-active and responsible citizens of the nation who must contribute in the creation of a humane society. 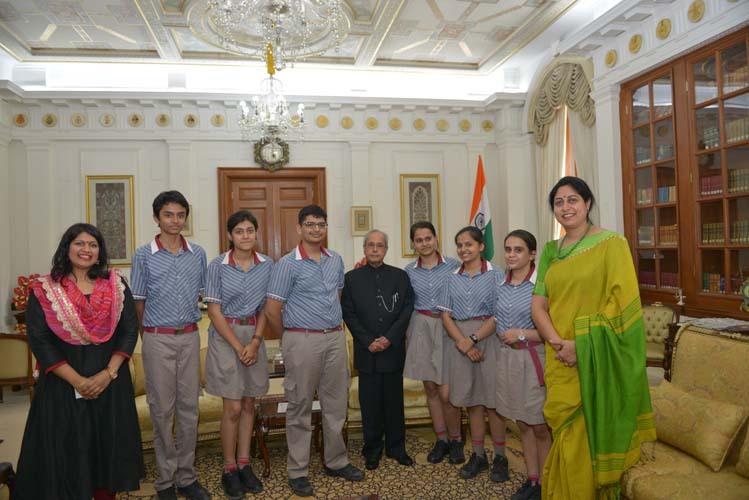 While waiting to meet the President, the students also got the opportunity to meet Lord Swaraj Paul, from London. Indeed an honour for the school to meet such personalities of repute.